Since 26 July, all partners of the Odyssea project have access to the web platform. The first bricks were set up to offer users an ergonomic interface. This new platform aims to provide a viewer of metoceanic and insitu data and also download them. Reliable data come from the project partners as well as Copernicus (CMEMS) and CLS catalogs. We continue to work on the platform to provide additional data from more observatories. 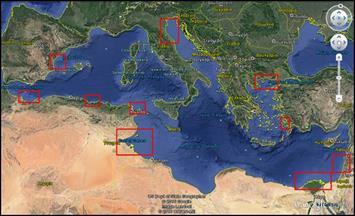 The aim of the Odyssea project is to centralize and facilitate access to data concerning the Mediterranean Sea. It’s a crucial issue to better preserve and anticipate changes in the Mediterranean ecosystem. Crossing metocean and in situ data will enable more reliable models. Indeed, the multi-observation has the advantage of making and validating the models thanks to the real data in situ. CLS’s work is focused on setting up the platform, collecting and disseminating data. A summer school will take place in September, in Kavala (Greece). The main actors of the Odyssea project will present some 30 participants with the features of this first platform and train them in its use. Want to become a user and help us to improve the platform according to your needs ?